Happy Halloween! 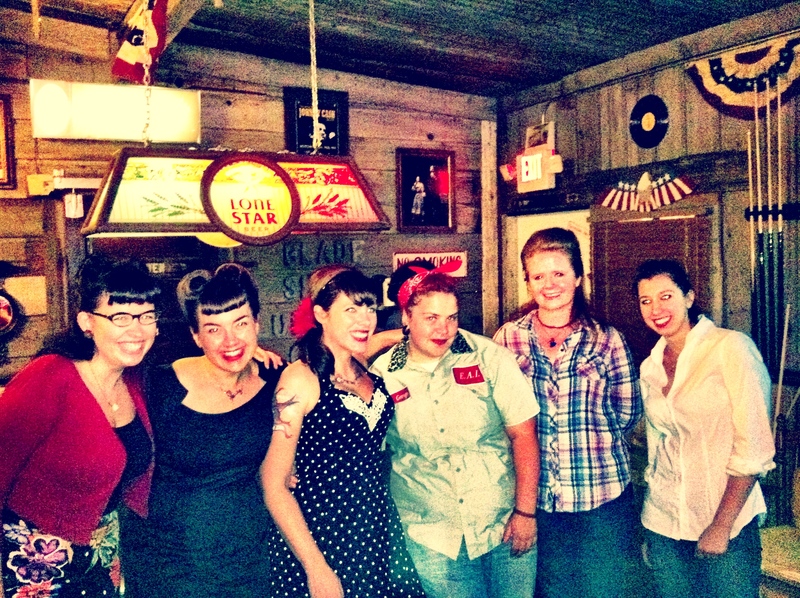 Here, I give you a little piece of me – me with a group of my girlfriends, all shined up and victory rolled out for my Rockabilly Birthday Riot. I figured it being Halloween, a costume post would be fun. Granted Rockabilly isn’t too far fetched from my day-to-day, but, nonetheless. I hope everyone has a happy and safe Halloween! Feel free to share pictures of costumes! Email them to me at faithlovesaustintoo@yahoo.com – you’ll be featured! Now that’s a great group photo. I bet you had fun.